When celebrities come out to play, they take things seriously. No exception to this was Kate Moss and partner James Hince’s wedding. The staggering beauty wedded her rock 'n roll The Kill’s front man on 1 July 2011 in St Peter’s church in Southrop. From there, the three day wedding reception, dubbed Mossfest, took full swing on Moss’ £2 million Costwold estate. 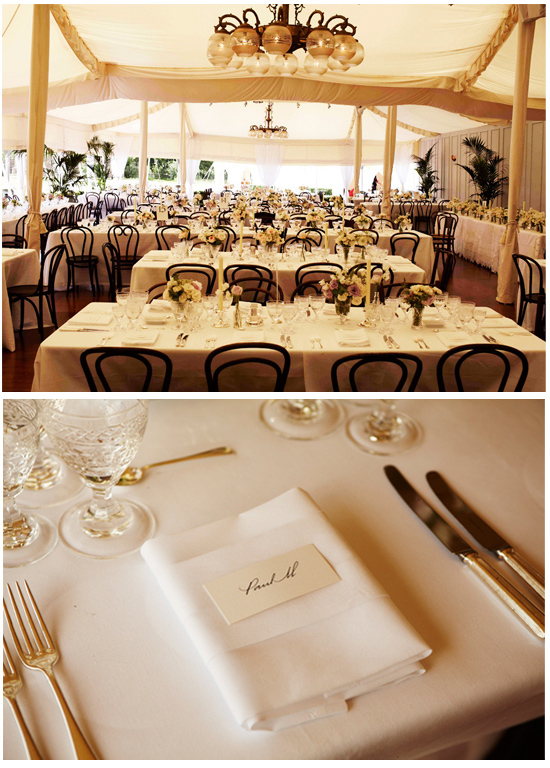 The official wedding photography was captured beautifully by the extremely talented Mario Testino. The wedding looked picturesque and dreamy, almost like something from another era. Victoria Brotherson created floral magic with banks of pale, feathery greenery and white flowers to line the path to the church. Similar flowers decorated the church interior of high, rustic beams and whitewashed walls. The reception concluded with a choir singing the Rolling Stone’s “You can’t always get what you want”. “I wanted it to be kind of dreamy and 1920s, when everything is in soft-focus. The Great Gatsby. The code name was GG for a while. That light and that kind of fun decadence. It’s rock-n-roll Great Gatsby,” says Kate. Moss opted to wear a vintage-style bias cut cream dress with gold leaf embroidery and rhinestones, designed by her close friend John Galliano. (Galliano has been out of the spot light for some time now, for making controversial anti-semantic statements and is currently in rehab). They discussed everything on the phone and Galliano describes the process as his form of "creative rehab". Her hair was styled in loose waves by hair stylist Sam McKnight, and her makeup was kept tastefully natural by Charlotte Tilbury. Her hubby opted for a light blue suit designed by Stefano Pilati for YSL. The sixteen bridesmaids and four flowers girls complete this picture of perfection. 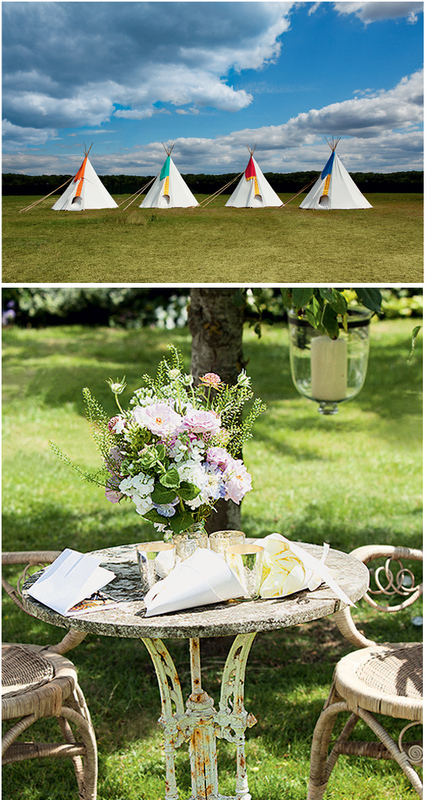 The reception consisted of Edwardian marquees set up in her field and a circus tent for the children, with a miniature drum kit and their own DJ and teepees for them to sleep in. Moss even had a stage built by hand, which she plans to use for festivals in the future. A “Second Look” boudoir was set up for guests to change into their reception outfits. Guests included a bevy of fashion heavyweights and celebrities including musicians Jack White, Bobby Gillespie and Paul McCartney and designers Stefano Pilati, Dame Vivienne Westwood and Marc Jacobs. 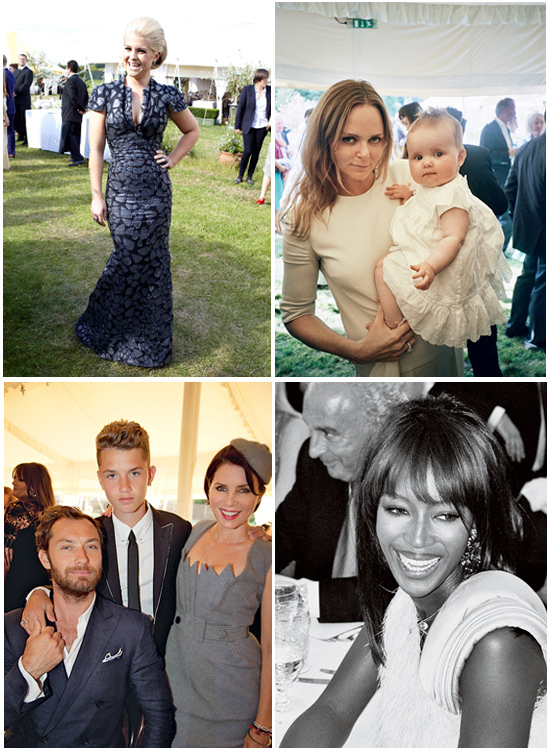 Jude Law, Naomi Campbell, Kelly Osbourne and Stella McCartney were all there to celebrate too. For her first dance, Kate changed into a grey georgette evening gown with steel beads designed by close friend Stella McCartney. Bryan Ferry sang, “If There is Something” – their song. She then changed into another Stella McCartney creation – a backless golden-spangled minidress, with Louboutin heels. This wedding was everything that is magical, dreamy and whimsical. Throw some celebrities in the mix, along with a bride who knows exactly what she wants, and you’ve got a beautiful wedding and one that will linger in our minds for a while. Celebrity marriages are doomed to end, let’s hope the magic of this wedding seeps into their marriage for many years to come. Picture Credits: All pictures found here and here.